Sometimes you just need to laugh, not smile slightly, not feel vaguely amused, but really laugh with that can't catch your breath, might wake the whole house up laughter. The kind of laughter that makes everyone ask you what is so funny, the kind that makes your whole day brighter. What do you read when you need a funny book? 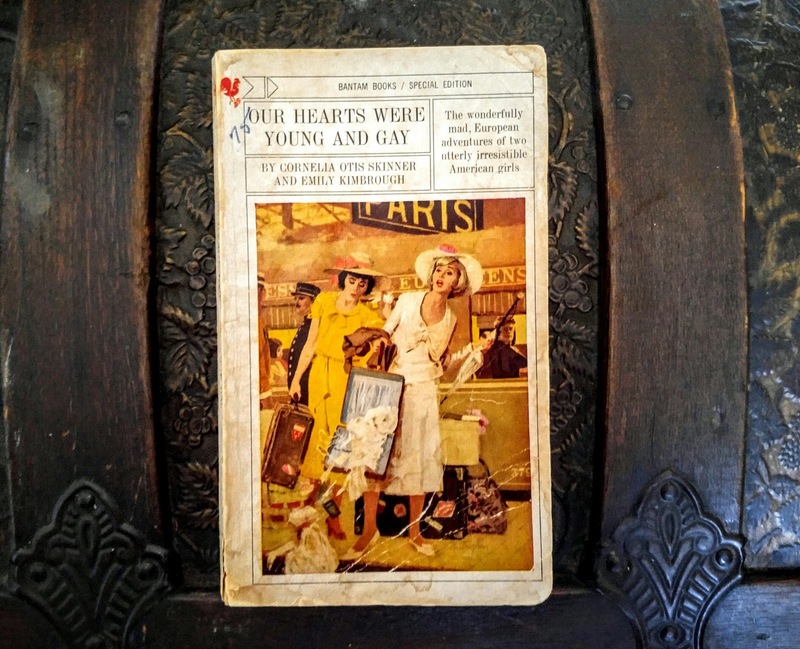 One book that is guaranteed to make me laugh until I have tears streaming down my cheeks is Our Hearts Were Young And Gay by Cornelia Otis Skinner and Emily Kimbrough. It is the account of their European tour in the 1920s. "We had been planning the trip for over a year. Pinching, scraping and going without sodas, we had salvaged from our allowance and the small-time jobs we each had found the preceding vacation the sum of $80.00, which was the cost of a minimum passage on a Canadian Pacific liner of the cabin class. Our respective families had augmented our finances by letters of credit generous enough to permit us to live for three months abroad if not in the lap of luxury, at least on the knees of comfort. For months we had been exchanging letters brimming over with rapturous plans and lyric anticipation and now June had really rolled around and the happy expectancy of the brides-to-be of that year had nothing on us." Cornelia comes down with measles on the voyage over and if you can read the account of how they managed to get her off the ship while concealing her illness without laughing hysterically, well, there is no hope for you. Cornelia and Emily stumble from one adventure and catastrophe to another but they are obviously having the time of their lives and you will be too as you read about it. 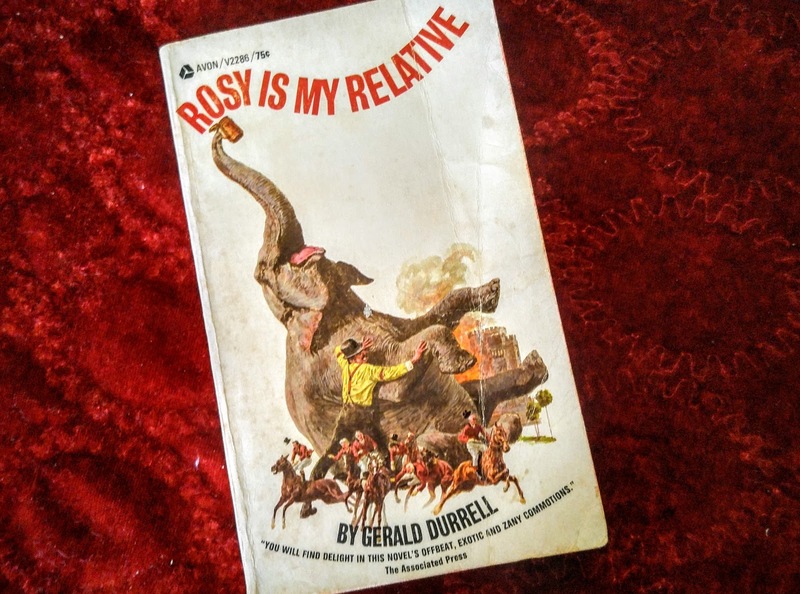 Rosy Is My Relative by Gerald Durrell is the story of Adrian Rookwhistle and his elephant, Rosy. Rosy was left to him in a will. Adrian decides he needs to find a proper home for Rosy and ends up traveling through the British countryside looking for a circus or fair that will take Rosy in. They have an encounter with a fox hunt, they take a sea voyage, they participate in a performance with disastrous results, and oh, did I mention that Rosy has a fondness for drink? Imagine the consequences if a large elephant gets hold of some beer. Read it and weep, with laughter. Jerome, George, and Harris, along with the dog, Montmorency, decide to take a boating holiday. 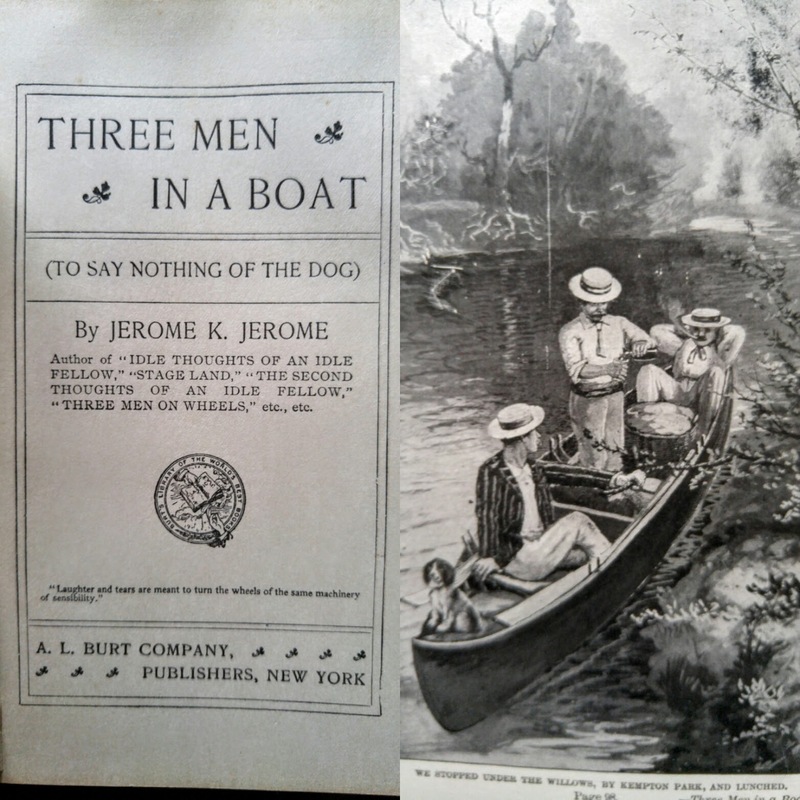 And thus you have Three Men In A Boat (To Say Nothing Of The Dog) by Jerome K. Jerome. There are complications, digressions, discussions, and adventures. Jerome loves to go off on tangents and observations about life and discussions of the countryside but since it is all amusing you won't mind at all. "That the boat did not upset I simply state as a fact. Why it did not upset I am unable to offer any reason. I have often thought about the matter since, but I have never succeeded in arriving at any satisfactory explanation of the phenomenon. Possibly the result may have been brought about by the natural obstinacy of all things in this world. The boat may possibly have come to the conclusion, judging from a cursory view of our behavior, that we had come out for a morning's suicide, and had thereupon determined to disappoint us. That is the only suggestion I can offer." Three Men In A Boat is best read in conjunction with Connie Willis' To Say Nothing Of The Dog. It is fun to see the inside jokes in her book and I love the scene were Ned Henry actually encounters the three men in a boat, to say nothing of the dog. No list of laugh out loud books would be complete without P.G. Wodehouse. I grew up on Wodehouse. My mom loved his books and there were always a few floating around the house. The Code of the Woosters has all the typical Wodehouse nonsense that is such a joy to read. Bertie's Aunt Dahlia wants him to steal a cow creamer and if he doesn't his invitations to lunch will be rescinded. Bertie can't face that since his aunt's chef is incomparable. He gives it his best attempt but gets entangled with more than he bargained for. As usual, Jeeves comes to the rescue and Bertie just escapes marriage and the wrath of his aunt by the skin of his teeth. I love the way Wodehouse describes people. "She was definitely the type of girl who puts her hands over a husband's eyes, as he is crawling in to breakfast with a morning head and says: 'Guess who!'" "She was standing by the barometer, which, if it had an ounce of sense in its head, would have been pointing to 'Stormy' instead of 'Set Fair'." I have had fun writing this post. I kept dipping in and out of all these books, reading my favorite parts and laughing all over again. What do you read when you need something to brighten your day? 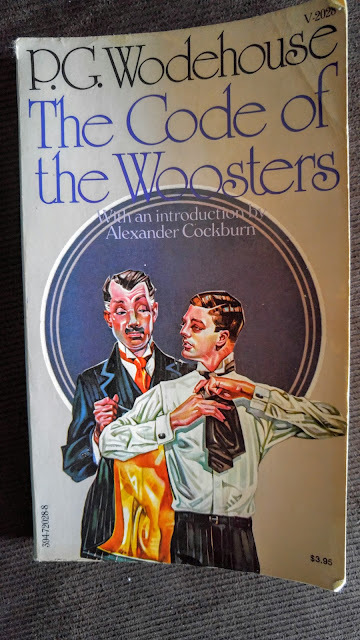 I love Wodehouse, and I've been curious about Three Men in a Boat. Lately I've been enjoying reading the books of Nancy Mitford and especially Evelyn Waugh for a laugh. I keep coming across their books at book sales, and I'm so glad! Give Three Men in a Boat a try. It is such a fun book. I haven't read much Mitford and only one Waugh. I do have Love in a Cold Climate waiting on my shelves. I think I need to frequent better book sales! I love that cow creamer - as I remember, it turns up in another story later, but I can't remember which one! I also love the cover above of Our Hearts Were Young and Gay. My copy is about the same vintage, but with a much less fun cover. I think I've had it more than 30 years now. You could be right about the cow creamer. Wodehouse wrote so many books that sometimes they all blend together a bit in my head. I really love his Lord Emsworth books but I don't own copies of those.